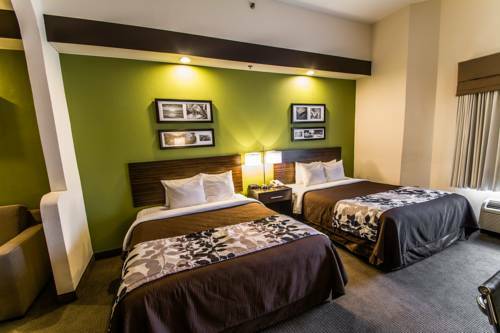 Dream better at our newly-renovated Sleep Inn and Suites Orlando International Airport hotel in Florida. Our smoke-free hotel is close to Seaworld, Wet n Wild, Universal Studios, Orlando Science Center and I Drive. Each guest can enjoy our free breakfast, free WiFi, free airport transportation, free weekday newspaper and business center. Unwind in one of our guest rooms, all of which feature a flat-screen TV, hair dryer, desk, iron and ironing board. Sign up today for our Choice Privileges program and start earning rewards with your next stay. *Some amenities may require an additional cost. Park & Fly available for 5.00 per day.